Floors, and the various materials they are made of, will be required to withstand the most rugged quality tests even in the least trafficked areas of your home. The kitchen floor, however, will put quality guarantees to unbearably rigid tests and only most formidable materials will survive past ten years. Following is list of popular flooring materials along with their particular advantages and disadvantages to you as a budget-wise homeowner: 1. Ceramic Tile –The Really Good Idea Ceramic tile for your kitchen floor is going to be the best choice in the long run. It is a fail safe option that can suitably fit any budget, style or quality demands the user may have. They are also available in a huge variety of styles, textures, colors, patterns and motifs that it boggles the mind. Finally, if you are the DIY type, you will have hours of fun setting tiles and admiring your handiwork. Cons: A very hard surface, expect broken glass, flatware, and even stoneware. Improper tile placing can lead to popped tiles and tiles can crack if an exceptionally large weight is dropped on them. Tiles can be slippery and grout will need to be sealed and cleaned regularly. Costs Anywhere from $3 – $8 per square foot (Not including Installation) 2. Natural Stone — For the Kitchen of a Queen Stone floors may cost significantly more than other floors regarding maintenance and price, but what they lack in modesty they more than makeup for in naturally beautiful misrepresentations of solid depth due to unique natural textures of each stone. Available in slate, limestone, travertine, granite and more. Cons: The price will set you back quite a bit, without the price of installation. These stone floors can be especially hard to install and professional work is needed. The floor may also be susceptible to damage by moisture in porous stones and chipping or flaking in softer stones. Cost: Upwards of $15 -$30 per square foot. 3. 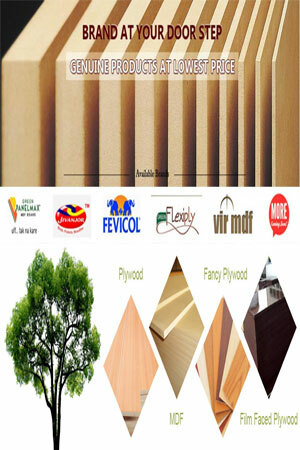 Solid Wood –An Exquisite Appeal Nature has provided some of the most exquisite materials for an artisanal kitchen style or even a refined and upper class look at a decent price. There is nothing like the warmth and comfort of a wooden floor. They are also highly durable, and will endure for many years if treated with all the loving kindness they deserve. Cons: Spills and water damage must be a constant concern and remedied with haste. Regular refinishing is an important job and scratches will happen (count on it). It is still a pretty hard floor so expect things to break on contact (at least compared to vinyl). Costs: $4 – $12 per square foot 4. Vinyl — The Cost Effective Solution If you need something at a good price, but with an enormous amount of options in styles, textures, colors, and patterns, then vinyl is the choice for you. Some manufacturers have produced vinyl flooring in squares, rolls or sheets that can be relatively easy to install on your own. Cons: Vinyl does not possess the longevity that other flooring materials do. But you can certainly expect a minimum of 5 years and possibly twice that with special care. Costs $1 – $5 per square foot. So there you go, the top 4 flooring ideas you can consider before starting a renovation. For a better result, it is recommended to consult with a trusted remodeler in your area.